Review: I started reading this book with a preconceived idea that I am probably going to get a little lost while reading it. My knowledge of the fían and Finn mac Cumaill is very limited and I was worried, but I was still very determined. There are a lot of very interesting and knowledgable names on the list of contributors to this tome; people like Kim McCone, Anne Dooley and Joseph Falaky Nagy. 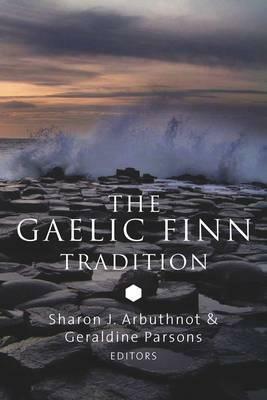 As the synopsis says, there are thirteen essays on the subject of Finn and the fían. They deal with different aspects of the manuscripts or the stories in them. Each one of these essays brought something new to the table like the role of linguistics in dating manuscripts or a comparison of stories on Finn. There is something in there for every one from linguists to mythologists. As with every book I read, I have favorite parts, in this case essays. I loved the essay by Kim McCone tracing the origins of the fían to the Indo-Europeans. I’ve always been interested in the larger picture and comparisons between the daughter cultures and the reconstructed Indo-European culture. Another favorite was Kevin Murray’s essay on dating the early fíanaigecht corpus and all the issues that came with it like the reliability of linguistic dating. Things like fragmentary state of the evidence, the time-lapse between the original composition of the text and the writing of the surviving copies, and the manner in which many texts developed, just to name a few. There were also bits of information that surprised me. Things like who could and couldn’t be part of a fían, or that Finn’s fían wasn’t the only one we knew of. I was also surprised by the fact that we don’t really know as much about Finn as we knew about Lugh for instance. The essays are a treasure trove of information and it brought home to me how little I really knew about Finn and the fían. It also brought to my attention how important it is to study the manuscripts that the literature was written in and the historical context of when, where and by whom these manuscripts were written. I would highly recommend this book to anyone wanting to study Finn and the fían not just from the mythological point of view but to really look deeply into the layers that can be gleaned from something as simple (or as complex depending on how you see it) as when the manuscript was written and whether or not the stories may have a possible older origin in the Indo-European culture.